Loyal,compassionate,polite,respectful,considerate of the feelings of others. My goal in life is to be that wonderful person my dog thinks I am. Fit , HPTW, reasonably educated, financially secure , well read,romantic,caring ,kind, passionate, a best friend ,honest critic, likes music,books, seafood, different cuisines, old b/w movies, the ocean, rainy Sundays and walks on the beach/hills .Considerate of all creatures great and small.. Enjoy winters in a warm places ..
bearrach47 is a Male dating in New Hampshire, United States. 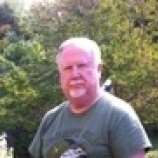 Check the description of this 69 years old profile, he is White/Caucasian and Catholic maybe this matches your profile description and you can both start dating in Ireland for free.